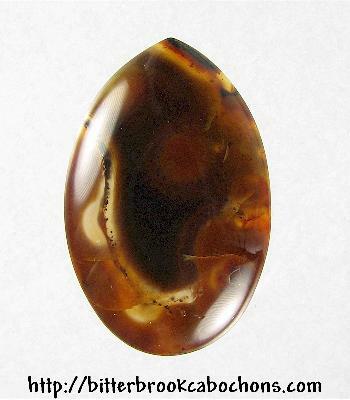 This dark unknown agate cabochon is slightly darker than it appears due to the bright photo lighting. It has interesting patterns of mostly brown coloring. 34.5mm x 22.5mm x 5mm. Weight: 29.70 carats.